Did you know that Cork ARC belongs to a network of community-based cancer support centres who work to an agreed standard of quality and professionalism? Did you know that our centre is affiliated to the Irish Cancer Society? The Society hosts a national network of community-based cancer support centres who work to an agreed standard of quality and professionalism, so that no matter where you live in Ireland, you have access to the same high standard of care and support. 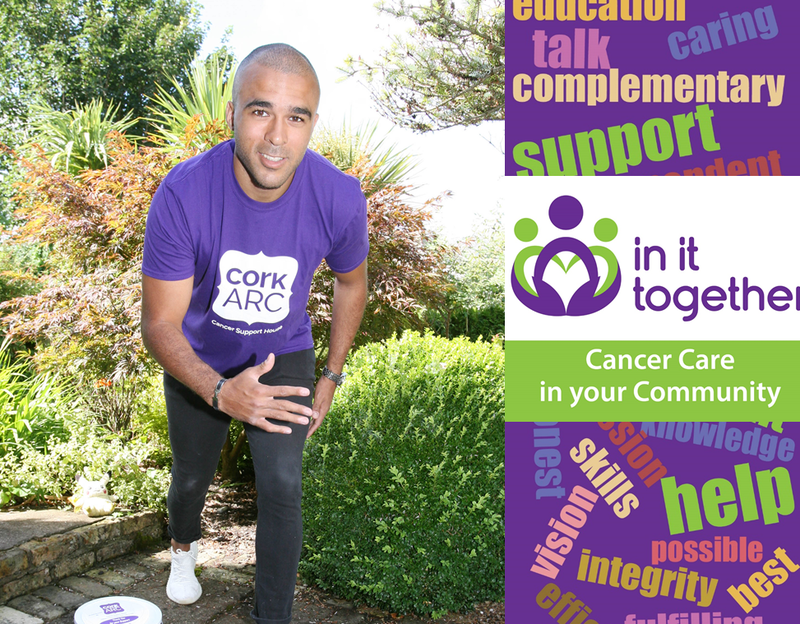 We are #InItTogether to support cancer patients and their families in urban and rural communities from our cancer support centres in Cork, Bantry, Youghal and from Cork city's north side, and proud to be part of a national network of community based cancer support centres. Sometimes we need to take some time to learn (or remember) coping skills and to have someone’s undivided and unbiased attention while we work through what it all means. Our national network provides short term counselling free of charge to anyone affected by cancer. The counsellors and complementary therapists throughout our network are all fully qualified and members of their professional bodies. Research shows that physical activity can prevent many primary and secondary cancers. There is never a bad time to improve your fitness. Join us for t’ai chi, yoga or pilates as you move forward into wellness! The use of creative arts as a form of therapy works wonders in many people's lives. It can help someone express themselves, explore their emotions and improve their self-confidence and self-esteem. #InItTogether for cancer support - All of the centres in our national network operate a “drop in” service so you don’t need an appointment, you can call in anytime during our opening hours and speak to a member of our team. All of the centres in our national network operate a “drop in” service so you don’t need an appointment, you can call in anytime during our opening hours and speak to a member of our team. Please share, tweet and post to support #InItTogether!